Gambrel Lofted Garages Are So Versatile! Our Gambrel Lofted Garages come with an 8′ spacious loft in the back for added organization and storage. 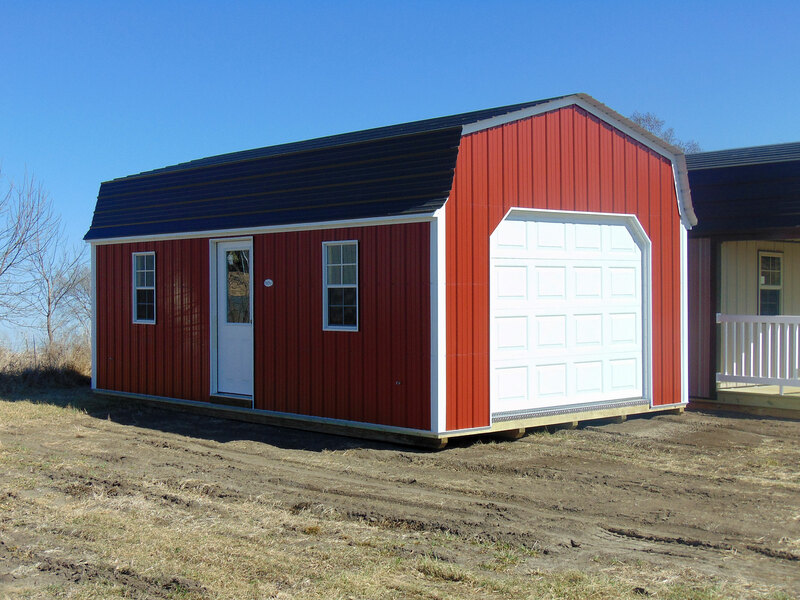 Two front view windows add light to your working storage building. You can easily add more windows to increase your lighting. Portable with treated 4″ x 6″ skids you can add 4 Heavy Duty Anchors to secure your building for $216.00 (includes installation). Gambrel Lofted Garages flooring is ready for all of your heavy projects. Quality materials and quality built to ensure durability for you!